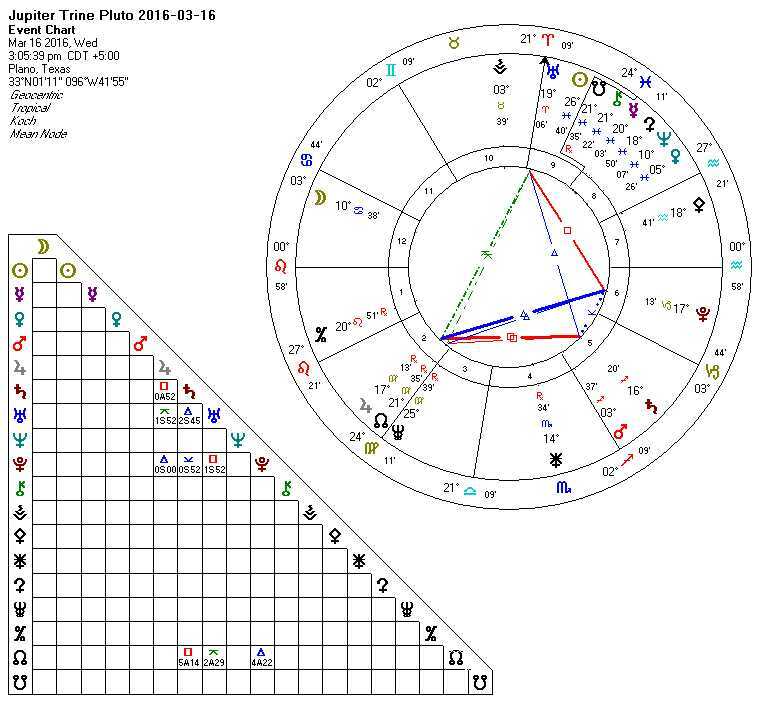 Annual Sun Opposite Uranus today, also. A powerful combination producing transformation on many levels. A good day to focus as much as possible and “get things done” if you can. 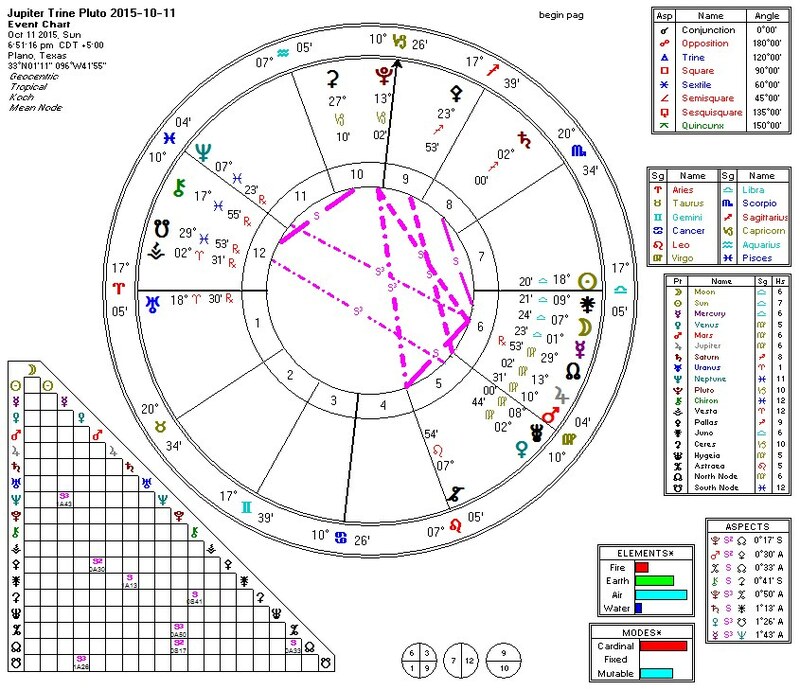 The apex of the FY is at Neptune in Pisces (poetry, lyrics, photography and video but also deception, criminality, drugs, alcohol, and incarceration) and is opposed by Hygeia in Virgo (health, hospitals, nurses, accountants, all with a relentless push for perfection). One leg of the Yod has a very old Moon in Libra (relationships, and a time for cleaning and clearing out what no longer works) and the other is Astraea in Leo (law, legal, and justice). She is right. Either one, alone, can be life changing. Both, together, will produce radical experiences for some of us. 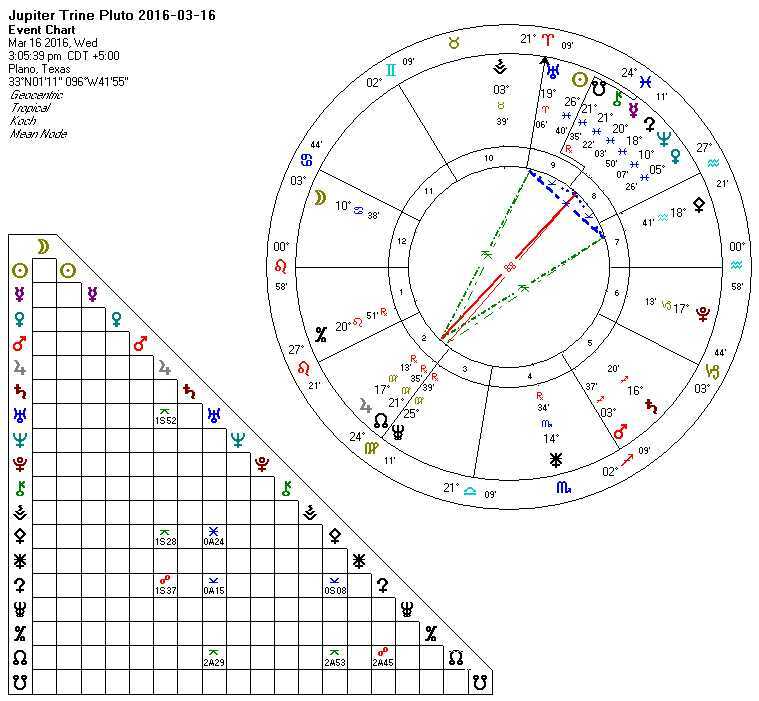 This is the first of three major planetary Trines between the Lord of Riches, Pluto and Jupiter in Virgo sign of the peasants and workers of the fields. So you want to be a Billionaire? Who wants to be a Plutocrat? 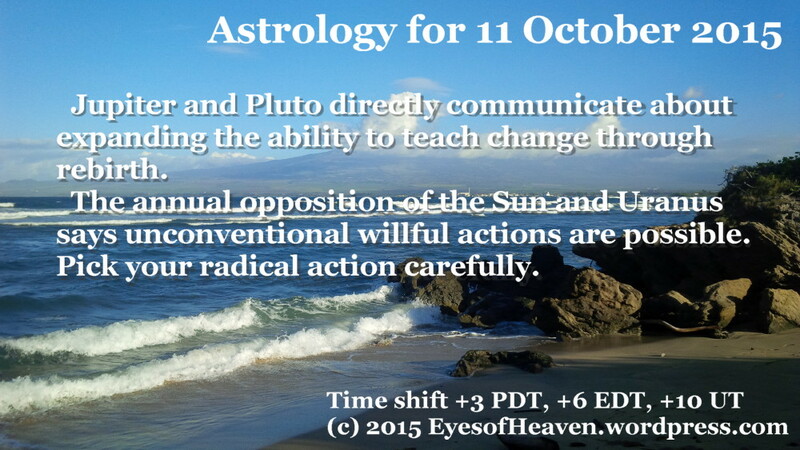 Trines, although an easy aspect require work and luck or right timing, something that Jupiter brings. 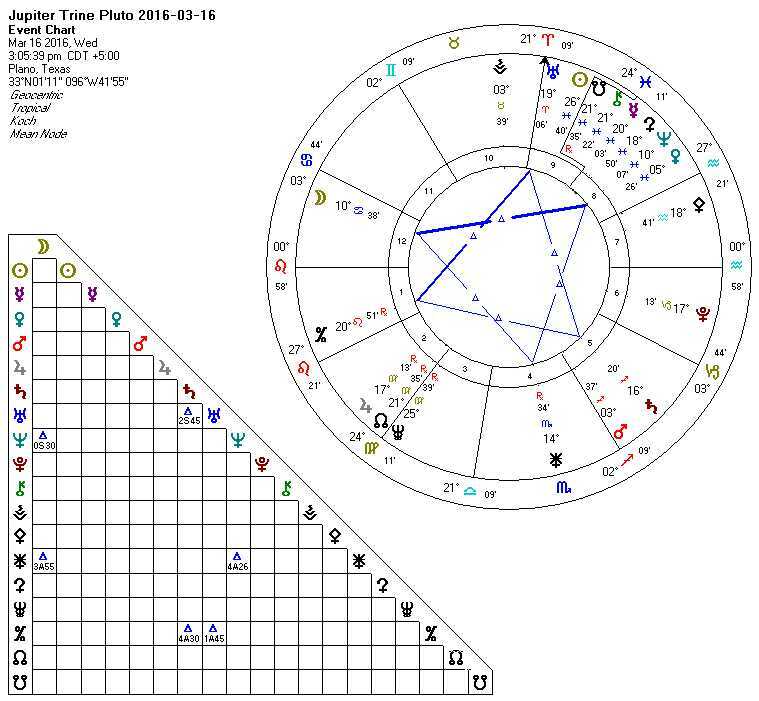 Virgo is a Feminine earth sign and one upside of this transit may be Justice, expansion and education, all Jupiterian concerns for women, and the environment. 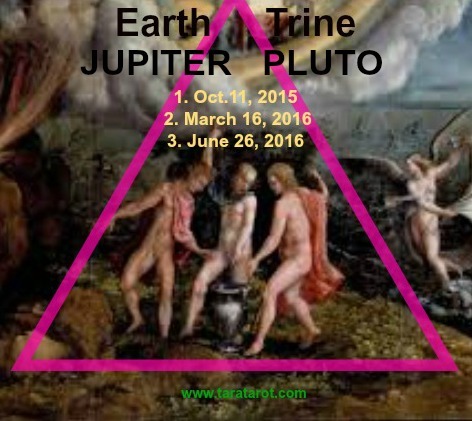 A Trine means the energies are complementing each other by being in the same element. 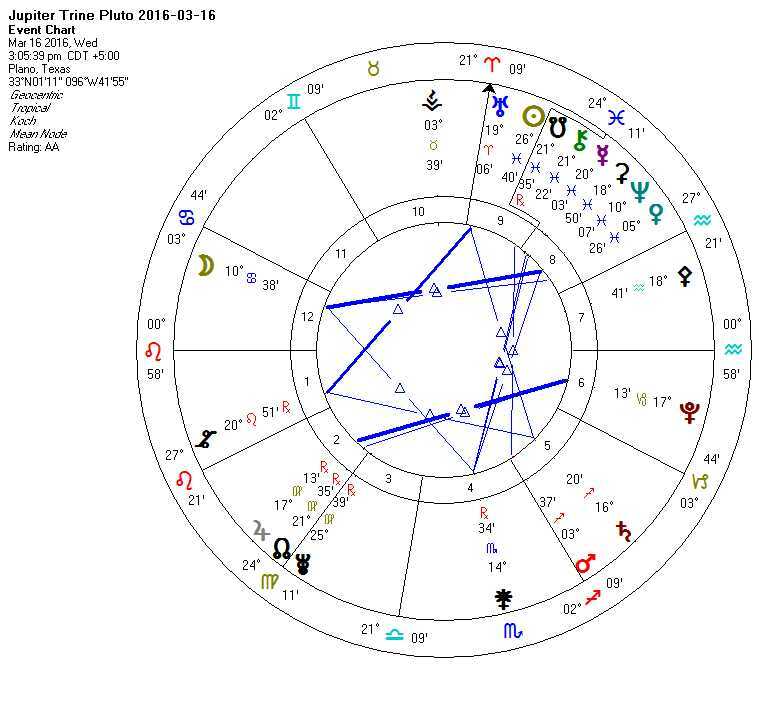 But when one is dealing with Pluto and his invisibility helmet and his penchant for secrecy, power and control, remember we are dealing with the symbol of the Soul at the apex of worldly power here. 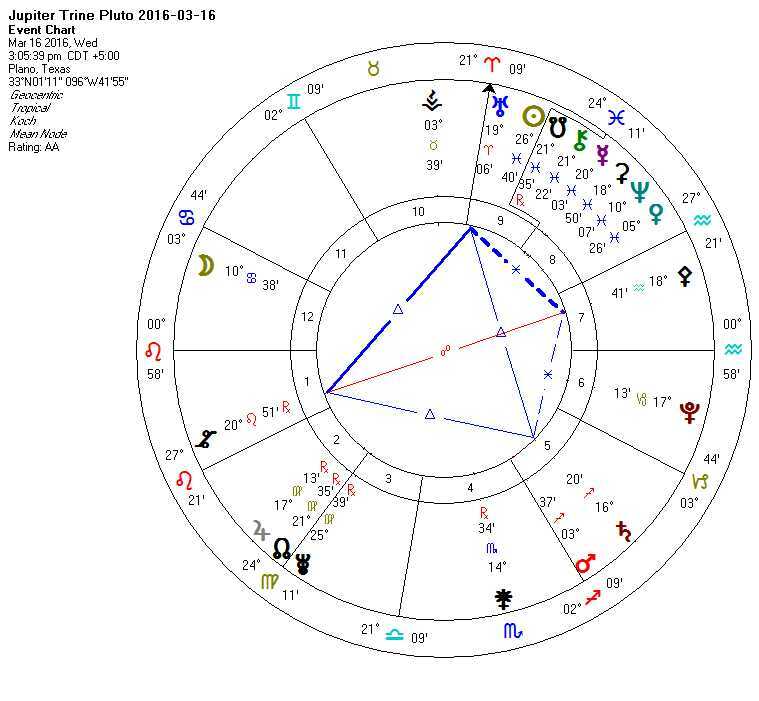 Update: You may also be interested in reading Jupiter Trine Pluto 2016-03-16. In addition to the FY, the perfection of this aspect contains significant 7th Harmonic (Karmic) activity. In particular, a triangular pattern exists with a septile, biseptile, and triseptile in a form that we typically describe as a “7th Harmonic Learning Triangle.” That means that you will have to work through some fair amount of “Karma” to access the benefit to be had in this FY. 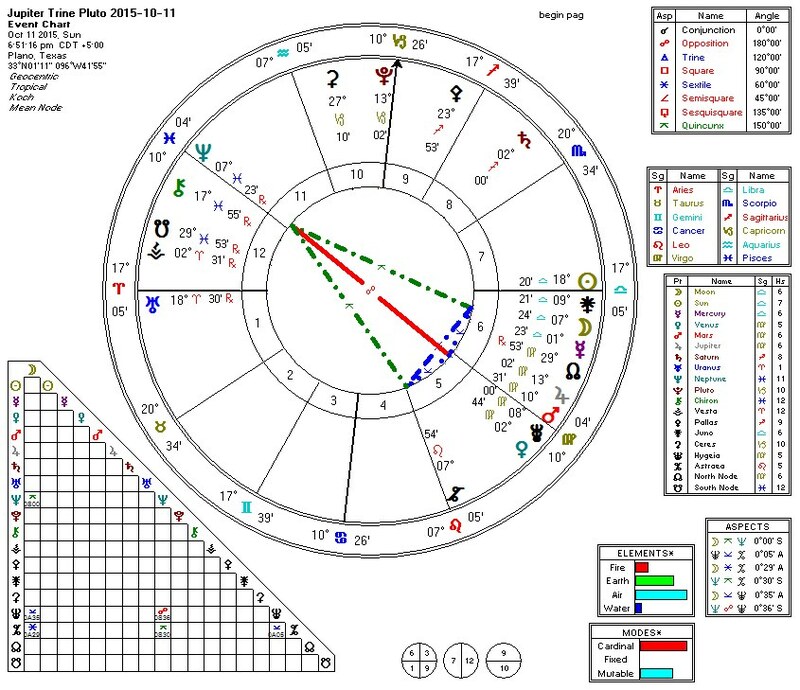 The 7th Harmonic Learning Triangle involves Pluto (death, taxes, and inheritances), Astraea (law, legal, and justice), and the North Node (Karma and “hard work”). You may also want to compare this period to the other Focused Yods this month listed in the October 2015 Pattern Search. Keep your eyes open. Something is coming that could bring great advantage to certain people.